FREE delivery to United Kingdom in 3 - 7 working days. 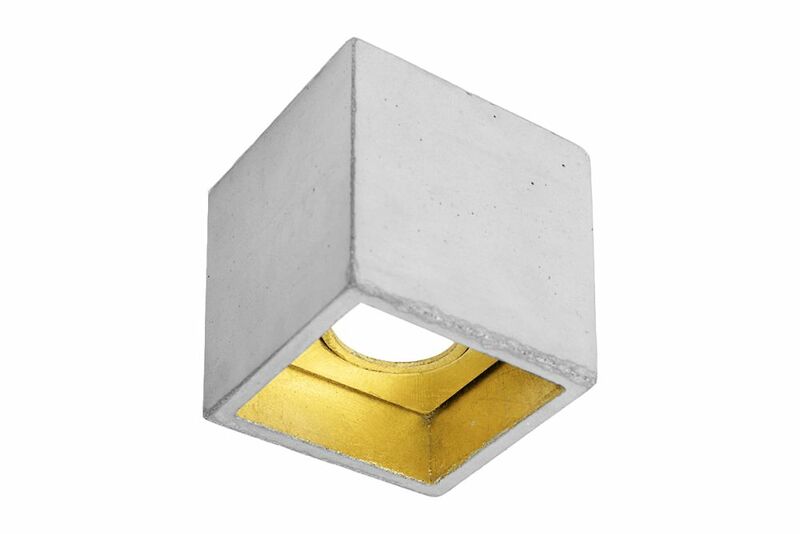 The cubic ceiling spot [B7] is cast from light or dark grey concrete and comes with a gold, silver or copper plating on the inside. The lamp can be used solitary as an "eye-catcher" or combined in a series along a corridor or above an entrance area for example. Included: The handmade lamp shade is delivered ready to install with a high-quality LED light, mounting hardware and acrylic spacer.